On the day you exchange vows with your soulmate, every precious moment is a forever moment. We can make sure you can savor those moments for the rest of your life with a wedding album that you can share with friends and family forever. Orchard Hill is a 19th-century residence, which is located on the grounds of Old Westbury Gardens and may be rented for weddings by sustainer members of Old Westbury Gardens. The venue is home to a number of delightful spaces in which you and your guests can celebrate your special day. Orchard Hill House: You can exchange your vows indoors, or outdoors with the possible addition of a tent. Inside, can accommodate up to 70 guests for sit-down meals and more for non-seated receptions. Outside can comfortably accommodate up to 150 guests for a seated meal, or up to 130 people with room for a seated meal with dancing. There is also room outside for a 40′ x 60′ tent. The Barn: The Barn can comfortably accommodate up to 80 guests indoor and up to 125 with the addition of a tent on the grounds. 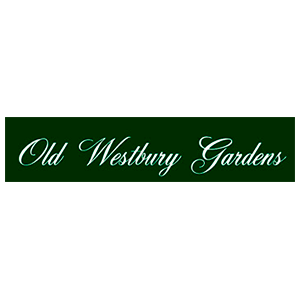 The Garden of Appreciation: As well as the Barn and Orchard Hill House, you may hold your wedding ceremony in Westbury’s Garden of Appreciation. This is an intimate walled garden with beautiful trellising as a backdrop to your exchange of vows. A cocktail party: You have your guests chic appetizers, or they can help themselves at food stations. There is plenty on offer to replace a full meal, and your friends and family have to opportunity to mingle and socialize while enjoying excellent food. A sit-down dinner: If you want a more formal affair for your wedding, this is a great option. Your guests will be seated in one spot surrounded by people they know, while they are served a sumptuous feast, with white glove service. You can choose from a simple but elegant one-course meal or have several courses served. For something a little different, you can select the chef’s tasting menu, from which multiple courses are served; each one a surprise. A buffet meal: This is a popular style of wedding meal. It is delicious and comfortable and allows your guests to help themselves to whatever they fancy and gives them a chance to stretch their legs and mingle a little. It creates a casual atmosphere where your friends and family will feel at ease. Let’s schedule a face-to-face meeting so we can discuss your Old Westbury Gardens wedding plans and you can take a look at our portfolio. We look forward to getting to know you and your groom.